You are viewing entries marked 'Features'. 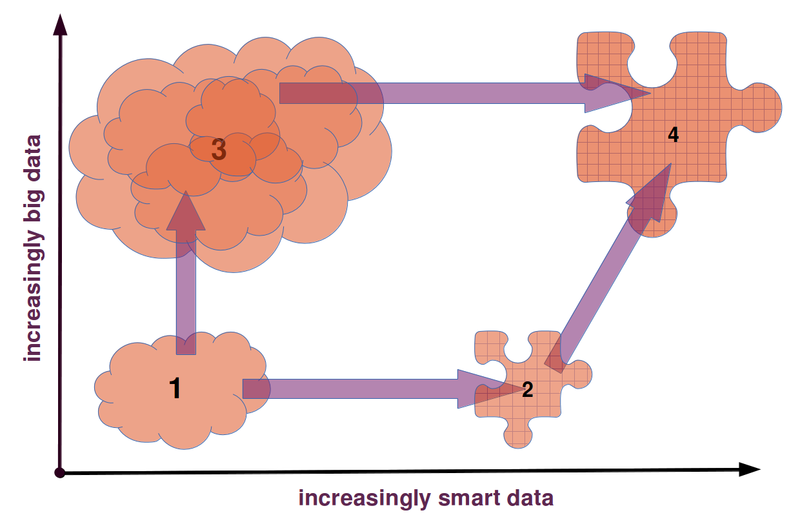 The story of smart and big data. This paper is about data in the humanities. Most of my colleagues in literary and cultural studies would not necessarily speak of their objects of study as “data.” If you ask them what it is they are studying, they would rather speak of books, paintings and movies; of drama and crime fiction, of still lives and action painting; of German expressionist movies and romantic comedy. “Publishing” has assumed a large role in discussions of how scholarship is changing. One reason is that, in these discussions, the mechanisms of publishing come to stand in for the larger and more complex processes of creating, vetting, and circulating knowledge. The Making History Project is an attempt by artists and archaeologists based within the University of Southampton to collaboratively develop innovative uses for 3D technologies. Techniques such as high resolution data capture and 3D printing represent a new era in digital imaging. The topic of the Semantic Web, more recently rebranded as Linked (Open) Data, has been in discussed in digital humanities and related disciplines since its inception. Now, more than a decade later, the technology has had more than enough time to run through the hype curve towards the Plateau of Productivity.